From Angelina Jolie to Selma Blair: crazy for horse jumping boots. It can be worn for work and leisure time. The only trick: combine it with skinny jeans, a t-shirt and a jacket, never on long or longuette dresses. The risk would be to be cut into pieces by your outfit. We are talking about the low-heeled boot, a perfect reinterpretation of the evergreen cult style (riding boots) that recalls horse riders of world level. First of all, Piergiorgio Bucci from L’Aquila, Lorenzo De Luca from Lecce, the paduan Alberto Zorzi and the calabrian Bruno Chimirri, protagonists of the heroic victory in the Nations Cups in Piazza di Siena. Success that brought Italy back to the podium after the last victory dated 2 May 1985. The members of the historic quartet of Rome are “ambassadors” of the Parlanti Roma family. This company based in Tivoli, Roma, has been a reference for worldwide equitation since 1987. From the equestrian fields to the VIP world, Daniele Parlanti – general manager and designer of the homonymous company – found himself, over the years, making tailored boots for Madonna, Jessica Springsteen (Bruce’s daughter), Selma Blair (we remember her in the movie Cruel Intentions), Guillaume Canet (in the cast of The Beach with Leonardo Di Caprio) and Gabriel Garko. 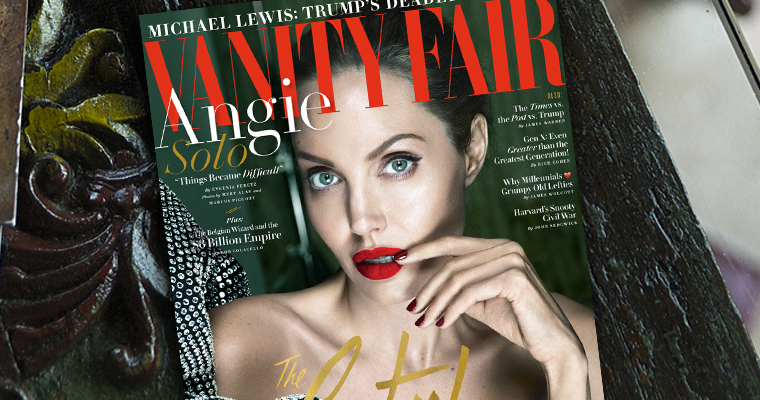 Recently the “Parlanti Passion range” at the feet of Angelina Jolie on the September edition of Vanity Fair USA and, subsequently, on the Italian edition of September 27th. «It is not uncommon – said Daniele Parlanti – to be joined by non-equestrian customers. Since autumn-winter fashion launched the riding boots for leisure time, I receive many requests. And there are those who take advantage of the company’s know-how to have it custom made. The tradition of the Parlanti family, handed down from father to son, was born with the production of high fashion and fashion footwear and then specialized, thirty years ago, in the design of riding boots. An infinite number of models in continuous style evolution are produced with a unique and inimitable “recipe”. “Fifteen years ago I refined this recipe. Starting from the choice of the raw material, I chose the highest quality both for the outside and for the lining and I worked with the chemists of the tanneries to ensure the resistance and the softness needed. When producing a riding boot you have to deal with the context in which it is used, then the sweat of the horse, the poor maintenance of the rider, the sand, the rain and so on. This is why I have studied a production methodology that has guaranteed lasting comfort over the last 15 years. Our sport has changed and we must be ready to support it. Boots cannot be a burden, or a problem, on the contrary they must facilitate the work of our athletes. In the same way, a pair of shoes, besides its general quality, must fit perfectly and be comfortable all day ».